Are you constantly in pain? Have you been experiencing pain for long periods of time? Does nothing seem to alleviate it? "Dr. Kinyungu provides a great service. This was a very smooth experience." "Dr. Kinyungu was great! Responded fast, caring, and very quick to aid..."
"Dr. Kinyungu was professional, kind, and helpful. I recommend ITAV Pain Management." "Highly recommend! Finally a doctor that cares!" "Takes the time to get to know the patient. Always gets back to you in a timely fashion." "Dr. Kinyungu is compassionate, caring, and very knowledgeable." "Dr. Ngugi Kinyungu, was a pleasure to deal with...explained everything in depth." At ITAV Pain Management, Dr. Ngugi Kinyungu and his team focus on offering patients in or around Plainview, New York, with the most comprehensive chronic pain management services possible to successfully minimize symptoms and ensure long, healthy lives. Specializing in care relating to back, neck, and joint pain, as well as neuropathy, dystonia, sciatica, and fibromyalgia, ITAV Pain Management offers pain relief through joint injections, various therapies and adjuvants, and an exciting application of the Compassionate Care Act, which enables qualifying patients to enter a medical marijuana program as a means of treating severe conditions. ITAV Pain Management is dedicated to providing patients with a welcoming environment in which they can feel comfortable returning for their monthly pain management checkups, and where they never have to feel shy about asking questions and being heard. 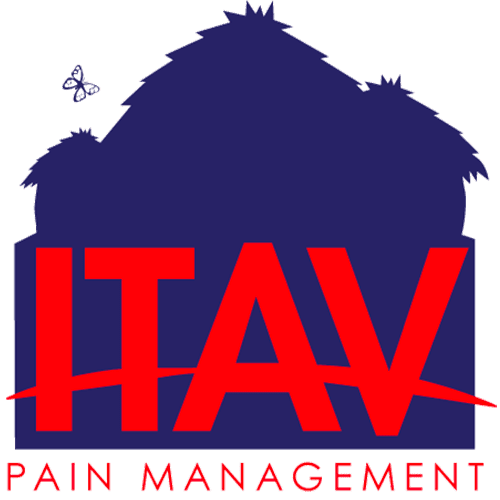 Through their expert and interdisciplinary approach to pain management, the team at ITAV Pain Management follows the motto “It takes a village!” and won’t stop until you get what you need to lead a healthy, pain-free life, no matter how complex your symptoms might be. We accept all out of network insurance plans. For those patients who do not have out of network benefits please call our office to discuss pricing. If you have any questions or need clarification of any of the above policies, please contact us. "I have had severe back pain and suffer from rheumatoid arthritis and lupus for the past 4 years. Dr. Kinyungu keeps my pain level tolerable!"